With an eight-wicket win at Hamilton on Thursday, New Zealand have handed India their largest defeat in terms of number of deliveries remaining in ODIs. 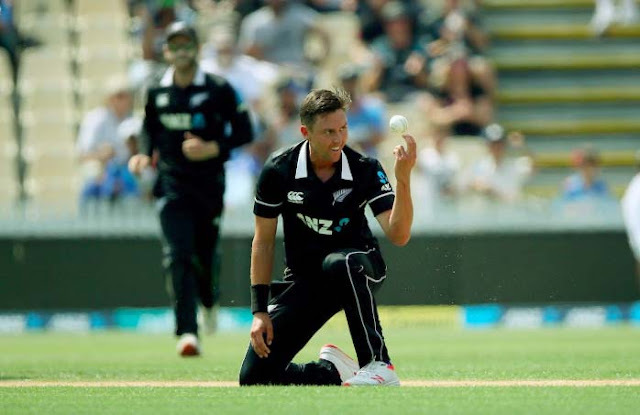 Chasing a target of 93 after Trent Boult and Colin de Grandhomme combined to dismiss India for 92 in 30.5 overs, New Zealand won in 14.4 overs. That left a whopping 202 balls in the match, which beat the previous biggest defeat for an Indian cricket team – 209 balls versus Sri Lanka in 2010. India, after being put into bat by Kane Williamson, lost their first eight wickets for 55 runs inside 20 overs. They were eventually all out for 92 in 30.5 overs, which is their second-lowest total versus the Blackcaps. The Blackcaps lost Martin Guptill for 14 off four balls and then Williamson for 11, but won on the strength of a speed stand of 54 in 8.2 overs between Henry Nicholls and Ross Taylor.